Oh, How I Love Book Clubs! It’s been several months since I was on the road. I think the workshop at the Hindman Settlement School was my last gig. And it’s been almost a year since I toured for CALLING MR. LONELY HEARTS. I can hardly believe it. Today I had a welcome break from my looooong winter writing schedule. I had donated copies of ISABELLA MOON and a book club visit to the Inspiring Women’s Gala auction at SIU last fall. 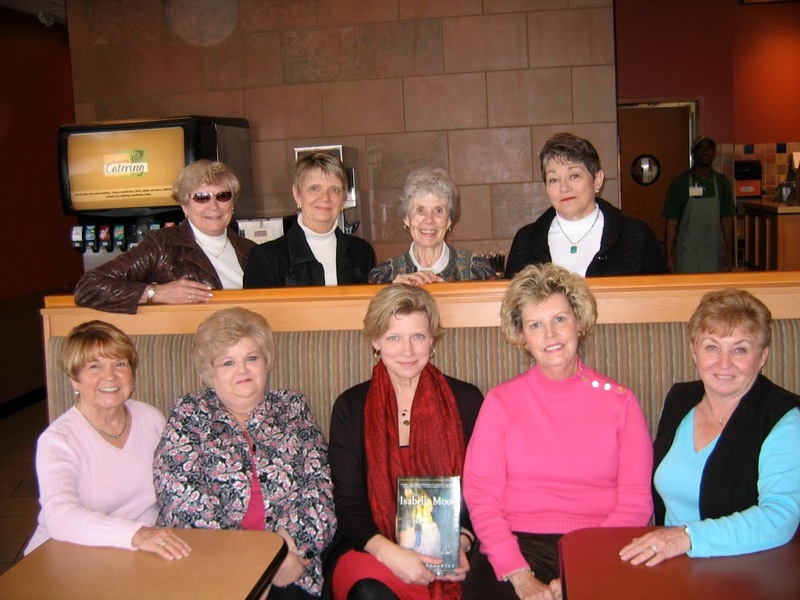 And I was delighted to get together with the ladies of the club today at Panera here in Carbondale. Book clubs are such a pleasure to visit. I get to talk with readers in a relaxed atmosphere, and everyone has something interesting to say. Aren’t they gorgeous? Thanks so much, ladies!